Hi! 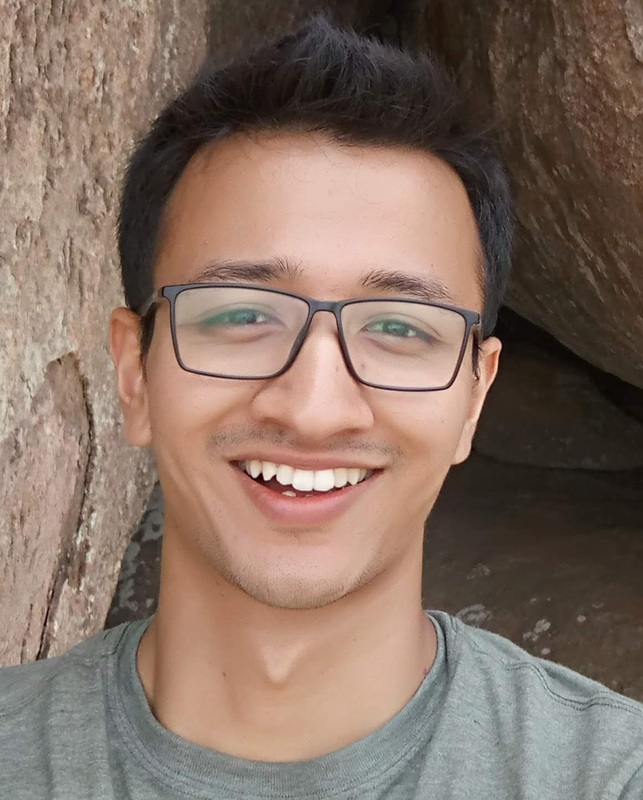 I’m Samrat, a programmer from Nepal; currently in Bangalore. Messy by Tim Harford: how pursuing tidy systems is harming us and why we should embrace messy systems that better reflect the unpredictableness of the real world. The systems in question can be anything from how you organize your inbox to how cities are laid out. Although it struck me while reading this book how similar most non-fiction books tend to be(this book is itself not particularly messy…), I did enjoy the book and found the arguments quite compelling. Learning to Climb Indoors by Eric Horst: a guide to learning and improving for the beginning climber. The author seems like a knowledgeable person and the book covers everything from how to approach different kinds of handholds to managing mental roadblocks like fear to optimum training schedules. I also found this to be a really well-written book, and it goes beyond just the technical and talks about how to stay motivated in the long run and even how climbing holds many life-lessons. Jhereg by Steven Brust: It had been a while since I’d read any fantasy and this was just a great book to come back to the genre with. This is part of a series called Vlad Taltos, named after the main character who is an assassin. Unlike most other fantasy books I’ve read(not that many), the book doesn’t take itself too seriously. I thoroughly enjoyed the book, and I plan on picking up other books in the series soon. Show Your Work! by Austin Kleon: tries to make the case that creativity is a social process and how you should share your work online to get an audience. I got excited about this book after reading Derek Sivers’s review of it, but I didn’t find the book as insightful as I was hoping. Yendi by Steven Brust: Second book in the Vlad Taltos series, from above. I enjoyed this book as well, although the structure of the plot felt a bit similar to first book. A Mind For Numbers by Barbara Oakley: strategies to learn better. The book also goes has ample explanations, based on research on the human mind, on why the techniques described work. Many of the ideas in the book, I’d already encountered in Make it Stick (eg. practicing recall through mini-tests, spacing repetition), but it was still useful to remind myself that I don’t have any excuses to not put these techniques to use. Teckla by Steven Brust: next book in the Vlad Taltos series. I felt like this book hinted at a much deeper big-picture narrative than the first two books did. I continue to be excited about this series. The Defining Decade by Meg Jay: targeted towards twenty-somethings. The book tries to push readers into taking ownership of transitioning into adulthood, and being more intentional with life. Taltos by Steven Brust: book 4 of the Vlad Taltos series. I really enjoyed this one. If you have comments or feedback, please send me an email or reach out on Twitter.